ASL Journal Issue Six (J6) debuted in January 2005, two years after the previous Journal had come out. The mid-2000s were a period of considerable ASL doldrums as MMP had many things to occupy its mind other than ASL and much of its ASL-related energies were devoted to the ASL Starter Kit. 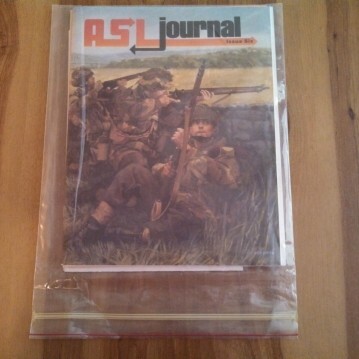 Long awaited products such as Armies of Oblivion or Valor of the Guards had yet to come out, no Action Pack had been published in years, and now even the Journal had skipped a year. It was not a good time to be a hungry ASLer. Still, when the much-delayed J6 did come out, it was much more pleasing than the past few issues, which had little in the way of extras or goodies to offer those empty-stomached gamers. 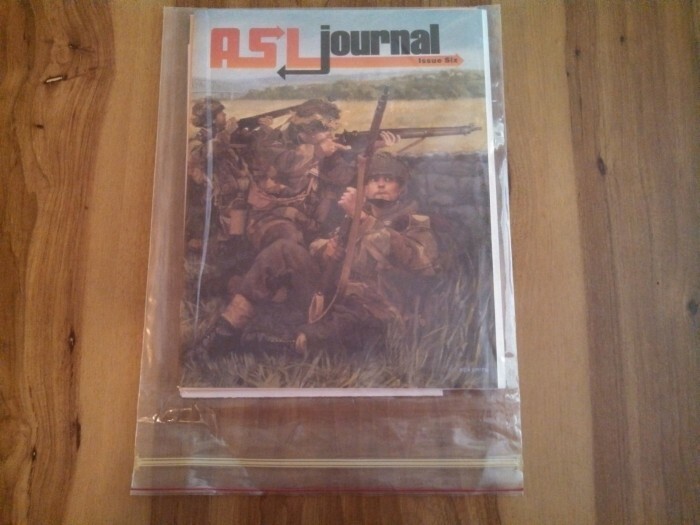 J6–led by the most striking Ken Smith cover illustration that has ever graced an ASL product–made a splash thanks to its significant “extra”: a mini-HASL featuring Primosole Bridge in Sicily in 1943. 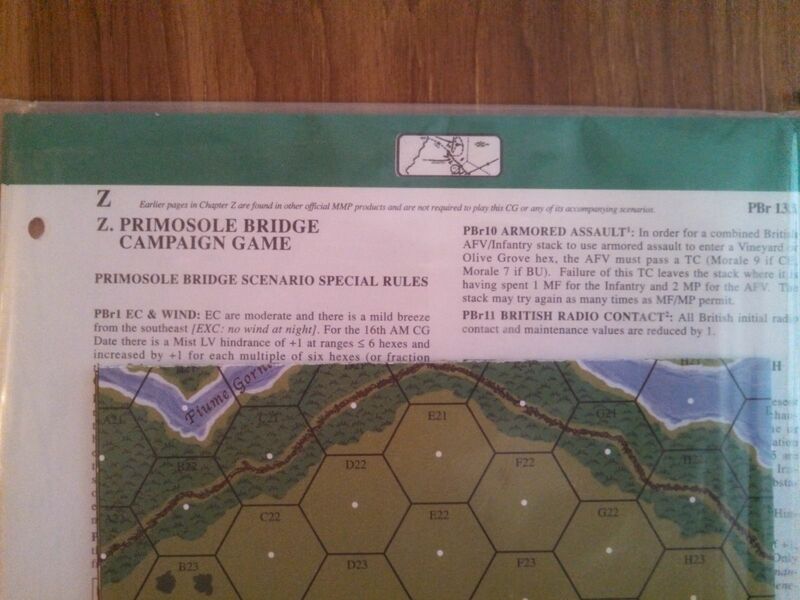 Primosole Bridge depicts a British attempt to capture a strategic bridge across the Simeto River during the invasion of Sicily in 1943 by using a glider landing to attempt a coup-de-main to allow Allied forces to advance (imagine an “A Bridge Too Far” situation, but with only one bridge involved). 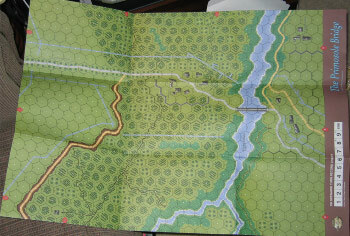 The British captured the bridge, but the relieving force fell behind schedule (a la “A Bridge Too Far” again). The British lost the bridge and had to fight to get it back again, including fighting against German reinforcements who themselves landed by parachute, making this the only battle in World War II in which both sides used air landings. Primosole Bridge features a very attractive historical map dominated by vineyards and olive groves (quelle Mediterranean!). 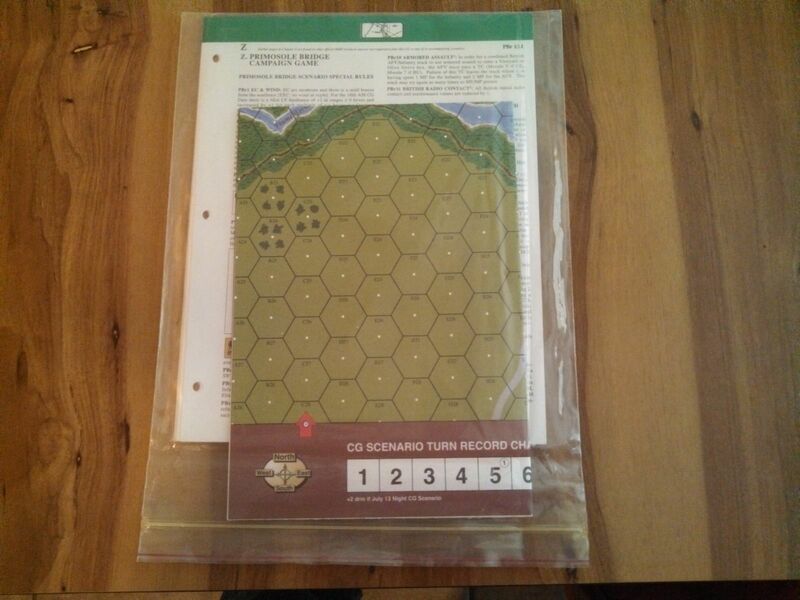 It includes Chapter Z pages (Z39-Z58) and charts for three campaign games! These are PBr CG I (“Who Are These Devils?”), PBr CG II (“Paying the Devil’s Bill”), and PBr CG III (“When Devils Collide”). There’s a Satanic theme going on there somewhere. CG I has 12 campaign dates, CG II has 8 dates, and CG III has only 3 dates. That’s a lot of campaign play value for a magazine insert. 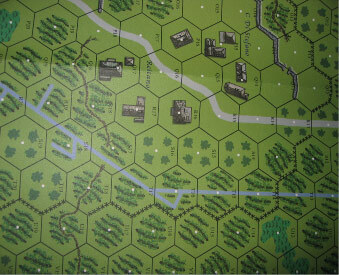 However, there are only three scenarios: J95 (Typical German Response), J96 (Another Bloody Attack), and J97 (A Nice Morning for a Ride). None are Night or Airdrop scenarios. Sadly, however, all show up as pretty unbalanced on ROAR. J91 (The Sooner the Better) is a desert scenario. Several of the scenarios in J6 were quite good, including the classic J94 (Kempf at Melikhovo), a popular tournament scenario. Also good were J90 (The Time of Humiliations) and J92 (Your Turn Now). However, almost half of the scenarios in the issue are quite unbalanced. 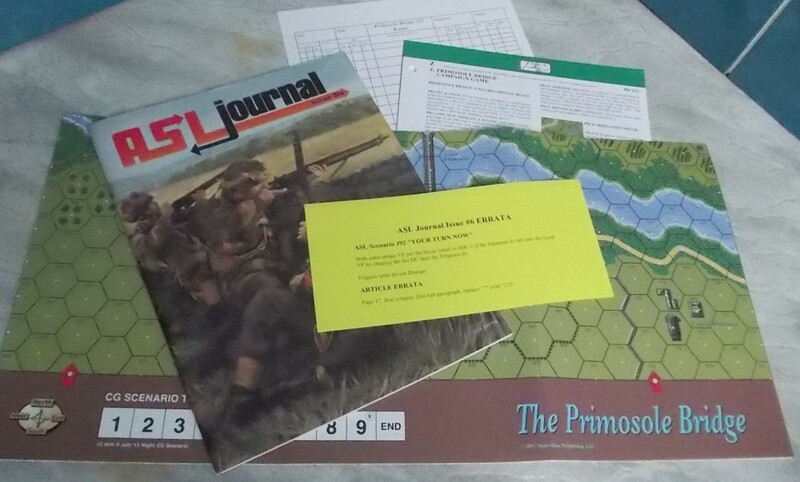 Article content in J6 is sadly very sparse, dominated by a good but too-long Series Replay (when Journals are only 48 pages long, Series Replays need to occupy fewer pages–what would be best would be to leave out the unit-by-unit lists of every action, as few people are going to set the scenario up and play along) and by a way-way-way-too-long “historical” article about the British–which itself was actually only half of the whole article as written (!). This was rather unfortunate. The poor article content, combined with the large proportion of unbalanced scenarios, takes the sheen off of the Primosole Bridge mini-HASL. The issue will probably most attract fans of campaign games.